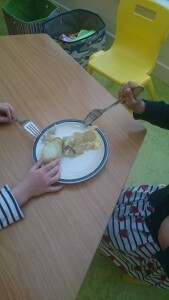 Second last day of term was a very special day for us. 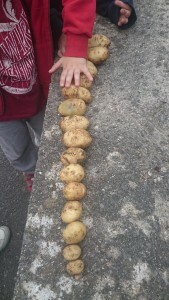 In early March we chitted some potatoes, then just before St. Patrick’s Day we planted 12 of them in the garden. 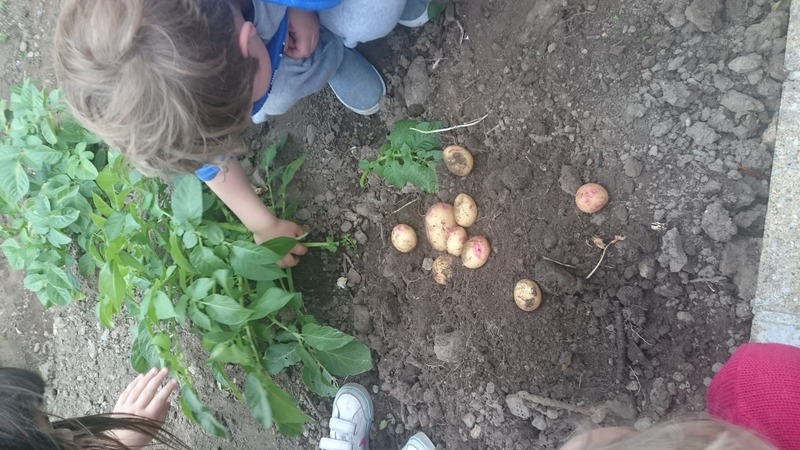 Today was the exciting day we got to dig them up, and most importantly… eat them! 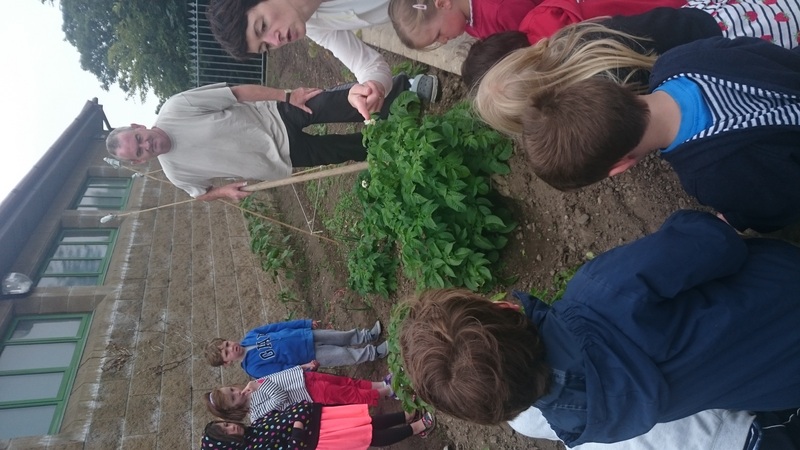 Our friends Sally and Nicky from Tramore GIY came along to guide us through it. 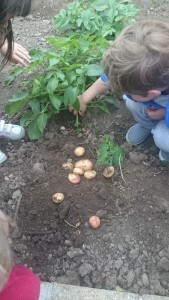 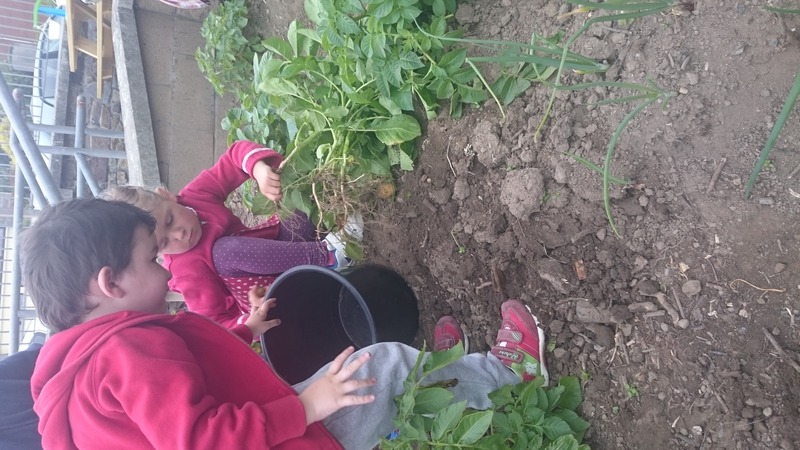 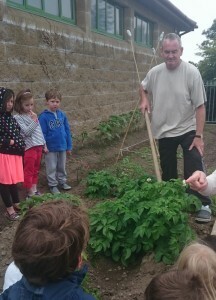 First we dug and picked the potatoes. 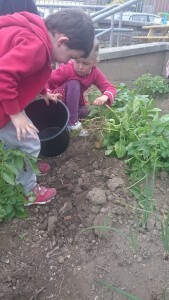 It was such fun looking for these gold nuggets in the soil! 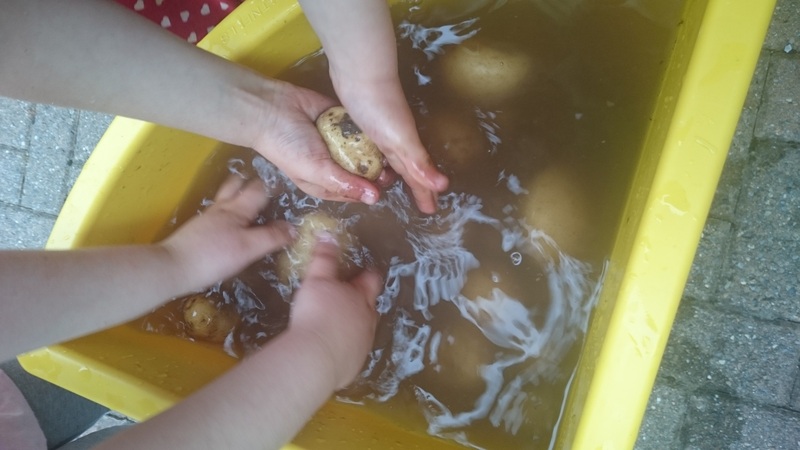 Then we counted, sorted, weighed and scrubbed them. 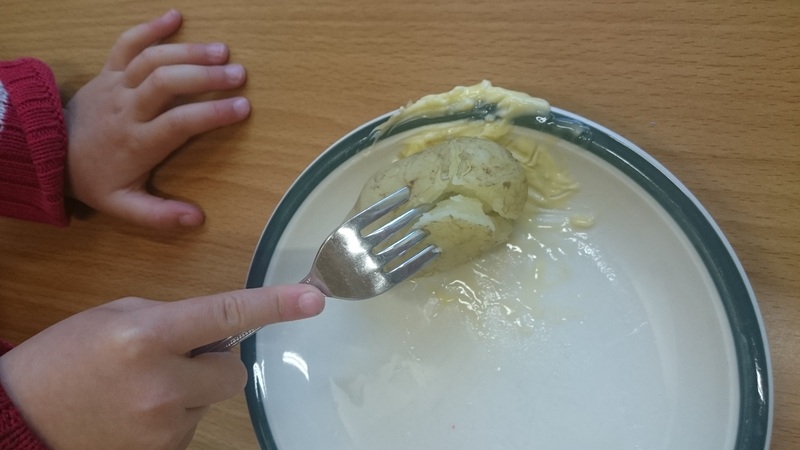 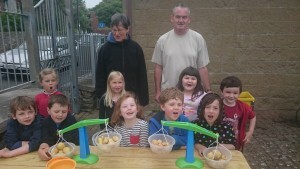 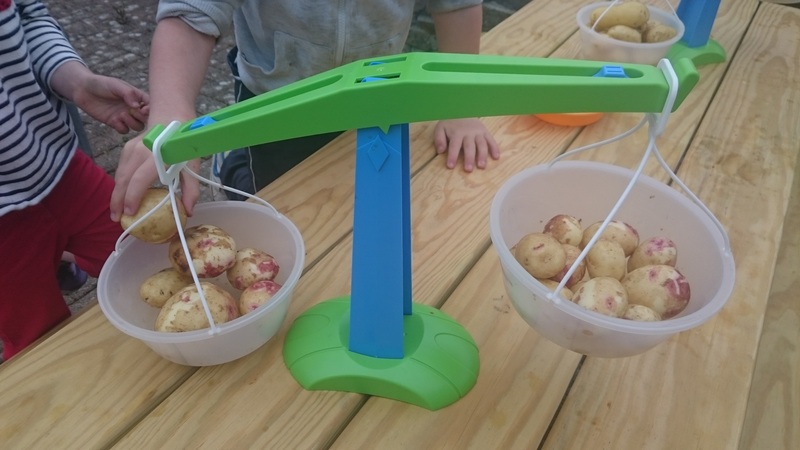 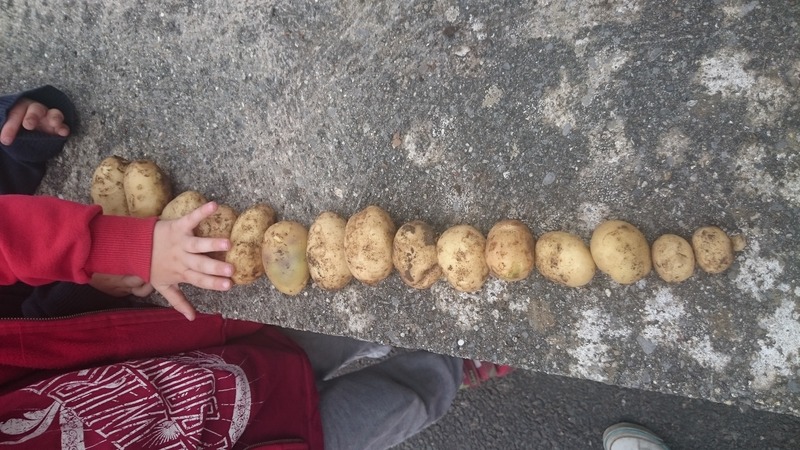 Our collection included some very large potatoes, and also some ‘tiddlers’. 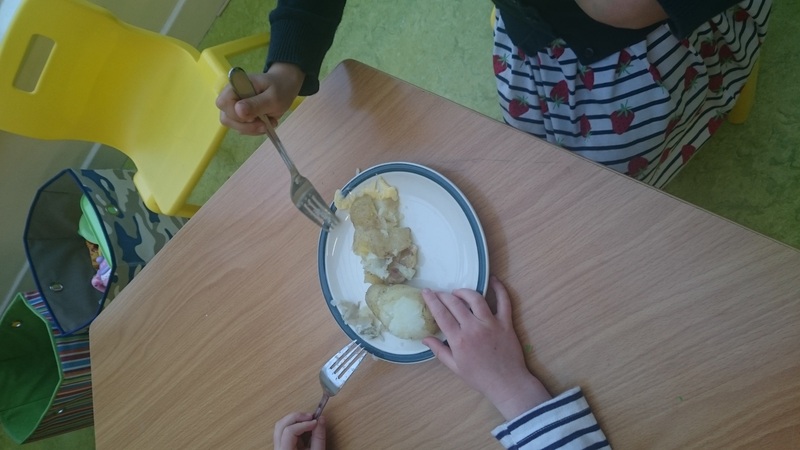 Many many thanks to Sally and Nicky for helping us along our farm to fork journey.